happy bubbly just because happy hour! Sometimes you pop for no reason at all. Aside from just celebrating the fact that it’s summer. And I’m in the Pol position. What’s everybody drinking this weekend? 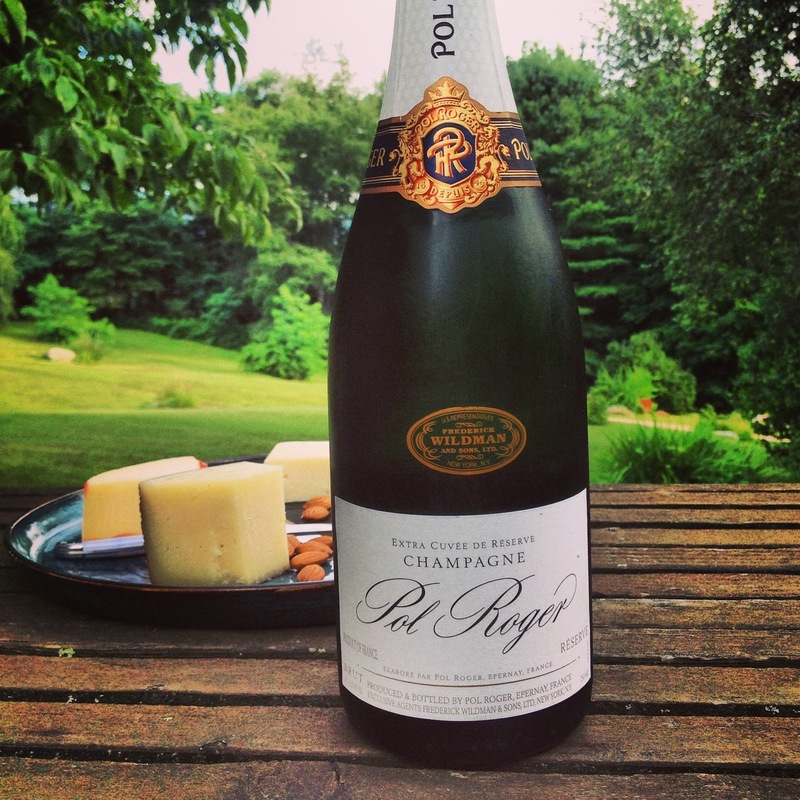 Tags: champagne, happy hour, pol roger, wine. Bookmark the permalink. Am leaving early in the a.m. for a quick 2-day trip to Paso Robles, so will be having a couple of delicious happy hours with all kinds of fun things. I’m a zin fan, but could probably handle a glass of something white and cool. Maybe a white Rhone like Roussane. Yeah. Hope everyone else is enjoying at least one HH this weekend! The Grenache Blanc’s there are great too. I’ve actually drunk a few different wines. What I have enjoyed the most is a Santa Barbara Dolcetto. Thank you for having liked one of my posts!